If you are running a small business and need bookkeeping, business support or technology advice Bookkeeping sunshine coast is just a click or a phone call away. Based in Maroochydore, we service from Noosa, to Caloundra and west to Maleny, Nambour and Gympie. 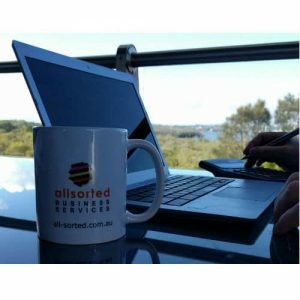 We provide flat fee bookkeeping and business services to service-based business across the Sunshine Coast. Not only has the advent of cloud-based software given small business the same computing power as large multi nationals, these platforms now provide the same level of data security (network firewalls, redundancy, backups, encryption and more). We insist on using the Google and Amazon cloud-based platforms, ensuring that your data remains in a highly secure environment at low cost. Using these platforms your business benefits from data centre and network architecture built to meet the requirements of the most security-sensitive organizations in the world. In the past small businesses could never afford this level of data security. Now you can. Let us show you how to leverage these platforms. Our clients love the strong relationships that we have with them and their staff as well as the deep understanding of, and interest, in making their business a successful business. The combination of workflow automation, process improvement, innovation and trusted accountants provide clients with the freedoms that should come with being a small business owner. We help to give you back the dream that you started out with. With tax, superannuation and employment rules, regulations and reporting requirements constantly changing, it is incredibly difficult for micro and small businesses to keep up to date and compliant. We take on this load for you, keeping you compliant and up to date with the latest legislation changes. Our state of the art OCR software and direct data feeds leverage machine learning and artificial intelligence to automatically read and enter tax invoices and other documents. We make a paperless office a reality. Our systems mean that you are no longer required to keep paper copies of your tax invoices or bank statements. We securely store all of your source documents online so that they can be accessed by you, your Tax Accountant or the Tax Office whenever and wherever they are required. Our online accounting and business platforms open up a world of opportunities to make your business more efficient, more profitable and more competitive. Understand your real-time cash position. Collaborate with your accountant, bookkeeper and team. Get paid faster to improve cash flow. Protect your business data with better backups and security. Improve quoting accuracy and job management. Automate routine tasks, such as onboarding new customers, preparing contracts, managing appointments. Which is the only word in the English language with three consecutive double letters? Why do you recommend Xero, instead of MYOB, Quickbooks, Wave and Reckon? Xero accounting software is ideal for small businesses with employees, basic inventory, payroll or more complex accounting needs. The cost for most small business is only $50 per month. Additionally, because the system is cloud-based it can be linked to other software that you may already be using, such as Survey Monkey, Square, Stripe, Hubspot, Google G Suite, Gmail, Autoentry, Woo Commerce, WordPress and many others. As we are Xero specialists we can get you up and running quickly, ensure that you maximise your investment and save you valuable time and money. This video gives a quick overview of the system and you can get more information here. Don’t allow your Accountant or Bookkeeper to own your accounting data. Read more….